How to get the cell value of specific row and column? You can get the cell value of specific row and column in SfDataGrid by using the SfDataGrid.GetCellValue method. You need to pass the underlying data object and the mapping name of the column to find the cell value. 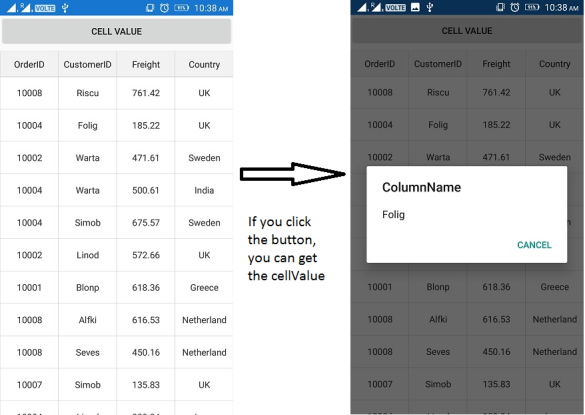 The below code illustrates how to get the cell value of the specific row and column in a button click.